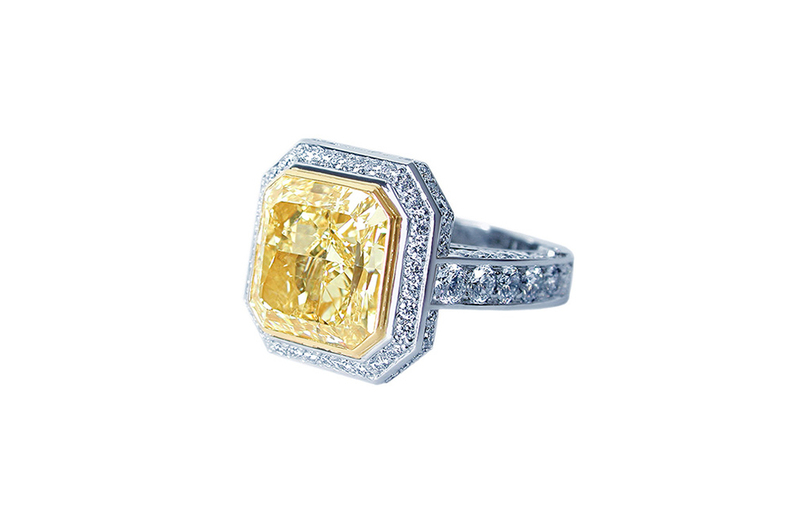 A gorgeous yellow asscher diamond set with a yellow diamond bezel. A geometric halo of diamonds surround the center from all angles. The platinum setting with diamond melee sparkles with diamonds on every surface.